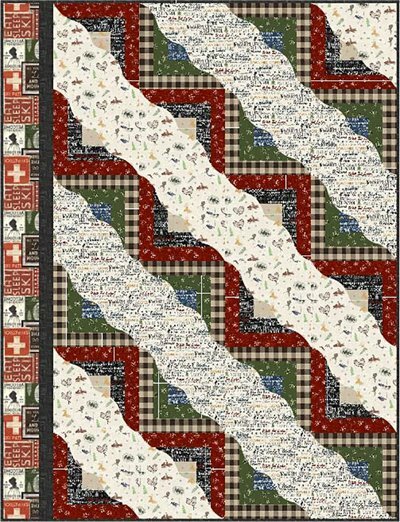 Pretty and sporty log cabin styled quilt pattern depicting a run down the ski hills! Or drop in and board your way down. Finished Size: Lap/Throw 56" x 72"